An overlay or resurface can be used on an asphalt driveway, parking lot, or road way. It consists of installing a new layer of asphalt over the existing asphalt and grinding at the transitions (i.e. sidewalks, garages, drains, curbs, or other asphalt points). A paving surface can be deteriorated but still maintain structural integrity in which an asphalt overlay is the proper solution. An existing asphalt surface is the best base for new asphalt. Damaged or troubled areas are repaired before the installation of asphalt. Sometimes all that is required is a leveling course, which is a thin layer of asphalt that is installed to take out any dips or low areas before the finishing course is installed. A tack coat is normally applied on the existing asphalt surface to help the new asphalt adhere to the existing surface. An overlay is usually installed at an average depth of 1.5” to 2” inches thick depending on the project. Overlays are normally cheaper in price and deliver same quality and strength as other asphalt options. A remove and replace is exactly how it sounds, the existing asphalt is excavated or removed which reveals the gravel base. If there are any areas where the sub base is soft they will need to be undercut then fine graded to proper grade. An undercut is an area that needs to be fully excavated and backfilled with aggregate. Undercuts usually range in depth but for the most part are 8” inches in depth. After the existing asphalt is removed and the sub base is properly repaired a new layer of asphalt is applied and compacted to proper thickness. A remove and replace is more expensive and should only be considered if the existing drive is weakened by the structural integrity of the sub base, if there is a drainage issue that needs fixed, or if there are elevation issues. A remove and replace can be a great long term solution for your asphalt needs. 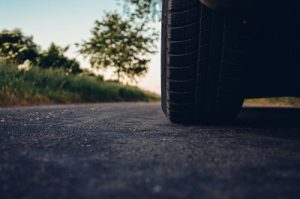 Every driveway is different and factors such as surrounding elevations, drainage and use of paved surface can help determine the correct course of action. Please contact us for an appointment with one of our asphalt professionals to determine the correct solution for your project.